Those who know me well know that I suffer from generalized anxiety. Yup! I'm an anxious person. I can't help it, I didn't ask for it, and for the most part I sure don't enjoy it, but it's there and I have to live with it. I'm the type of person who tries to take something negative and turn it into a positive, so I will admit that over the years I've been pretty crafty with my tendency to be anxious, and I have often tried to creatively use it to my advantage. Given that it's not overwhelming, some anxiety can keep me on my toes, help me be more productive, expand my thinking, push me to be competitive (even if it's just with myself) it also leads me to be a bit more of a perfectionist with my work, and makes for some pretty interesting creative writing and heartfelt poetry. But things that are tightly wound need to unwind, and even though there are a myriad of medications that you can take to help with anxiety, anyone who suffers from anxiety should know first and foremost any med-free ways that they could possibly help themselves. 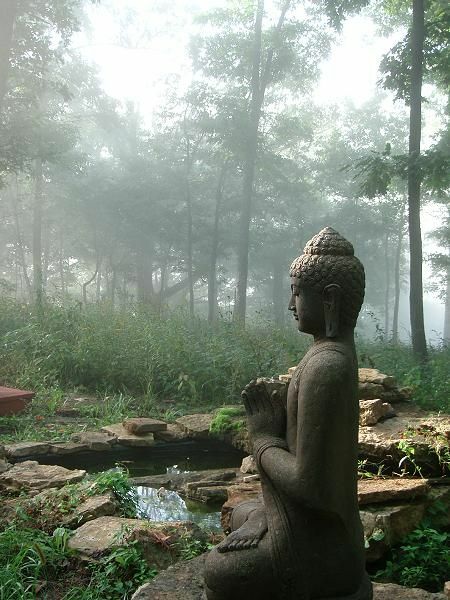 Deep breathing and meditation are two perfect examples. 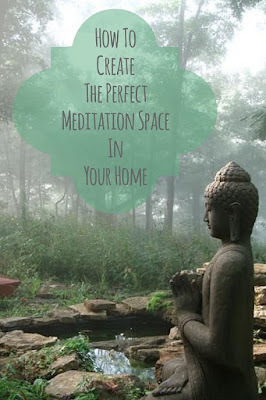 I probably could write forever about this topic (and I will probably write more about it in the future), but I'm going to get to the topic of this post, which is how meditation can be beneficial to you, and how to create the perfect meditation space in your home. 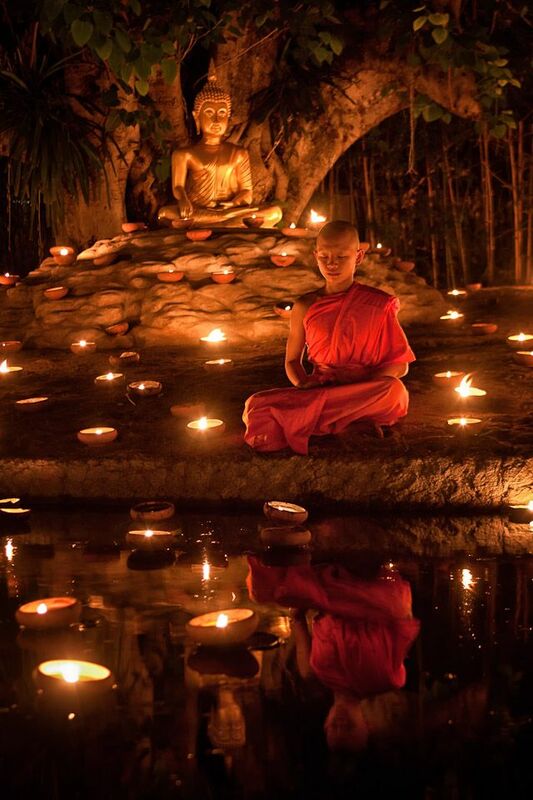 The amazing thing about meditation is that it is for everyone. Anyone can benefit from meditation, no matter who you are, no matter your age, or what type of work you do, none of that matters. Meditation is for everyone. Most of us are constantly plugged in. We live in an era of being socially connected through technology and that is only going to increase over time. For all of the time that we spend plugged in, we need to increase our time that we spend unplugged. Kids today grow up with technology. They are born plugged in. Meditation is a powerful technique that you can teach your children to do early in their lives as a preventative measure to help counteract and deal with stressors that they will face throughout their lives. Meditation is free and accessible. You don't need to drastically change your lifestyle to meditate. It costs nothing, you don't need to become a vegetarian or join a particular religion or anything like that. Don't know where to start? Check your local library for books, or even easier, go to Pinterest or Google for some quick starting advice. There are tons of guided meditation videos for free on YouTube to help get you started. As for finding the time to meditate, one of the best things to do is make it a part of your daily routine. Just as you set aside a few minutes every day to brush your teeth, it is just as easy to set aside a few minutes to meditate every day. Make it a part of your daily routine. Try first thing in the morning, or in the evening. Whatever works best for your schedule. Don't think you have time? Yes you do! If you have time to spend on Facebook or surfing the net, then you have time to spend on yourself. You have time to meditate! One thing that's great about meditation is that you can't fail at it. If you find your mind wandering to that grocery list, just try to refocus and get yourself back on track. Don't worry about messing up. Results are nearly instant. You should notice a difference pretty soon after you start meditating. Within a few weeks you may notice that you are calmer, you have more energy and greater clarity, and have better control over your thoughts and emotional responses. In your everyday life you may notice decreased anxiety as well as sharper thinking skills. First and foremost, meditation should be accessible. 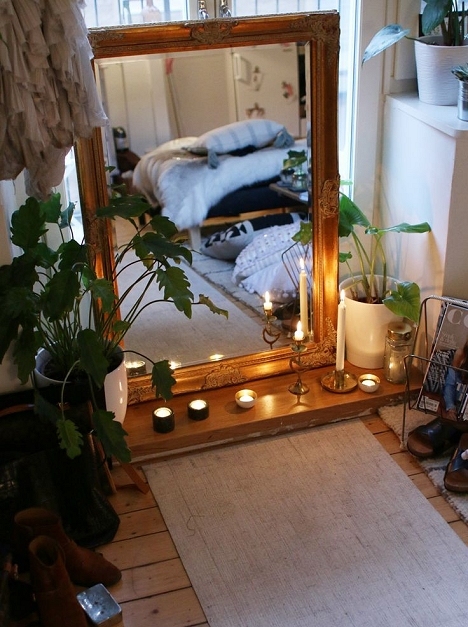 There are great pros to setting up a meditation space in your home, but keep in mind that you don't want to create a barrier (too much of an attachment to one space) which could deter you from meditating anywhere besides your meditation space. 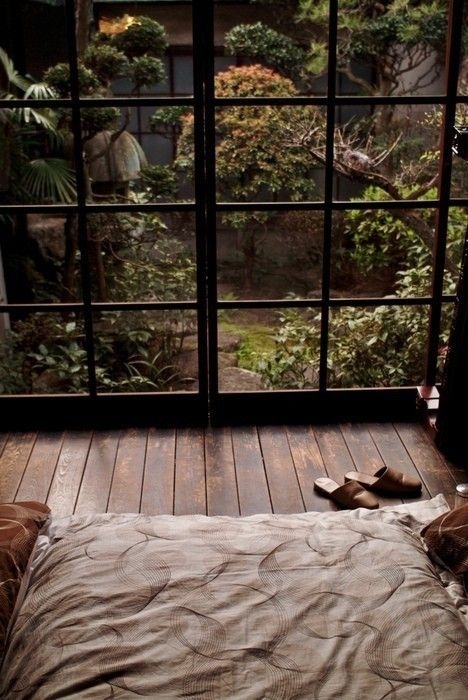 On a beautiful warm day, meditate in a park, the forest, or your own backyard. Keep meditation accessible. But today we are going to start with creating a little meditation space in your own home to get you started. Once you are in the habit of meditating and become more skilled in your meditative practices you may then want to try meditating outside and in places other than your home. 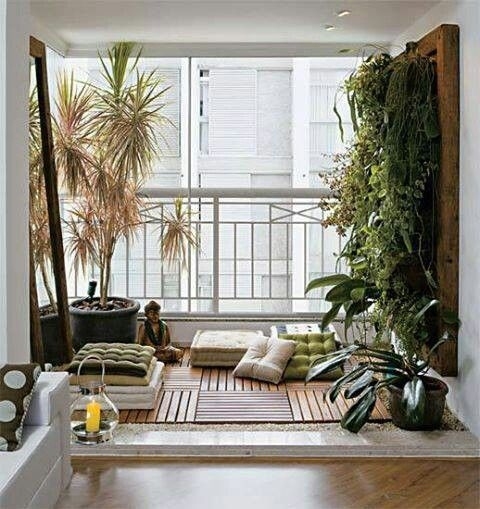 A meditation space is an area in your home where you will meditate. 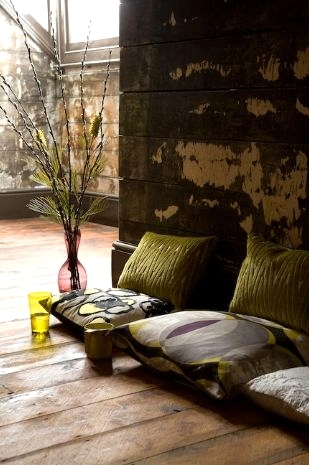 Pick a spot that is quiet and peaceful, and that you can personalize. 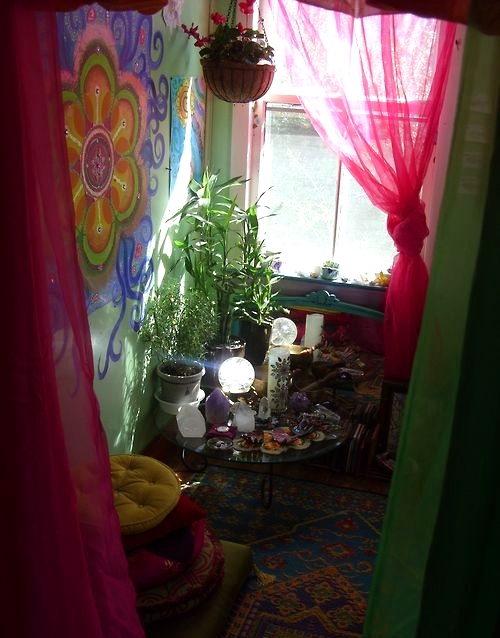 Why create a meditation space? Do you need "things" with you to meditate? Absolutely not. All you need to meditate is yourself. As a matter of fact, too many objects can be distracting. 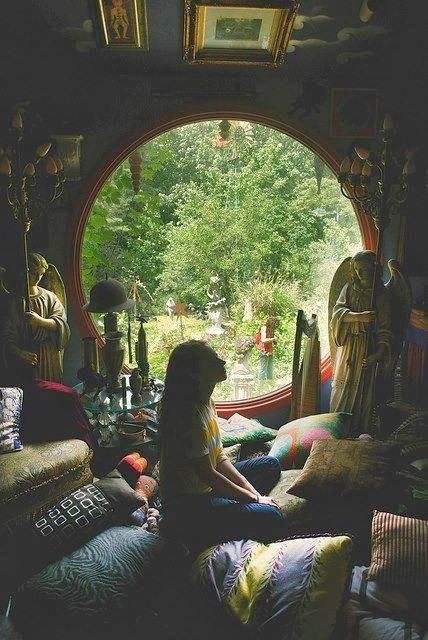 But having a special spot, especially when starting out, can be inspiring for you and can give you that encouraging little nudge to make meditation a daily habit. 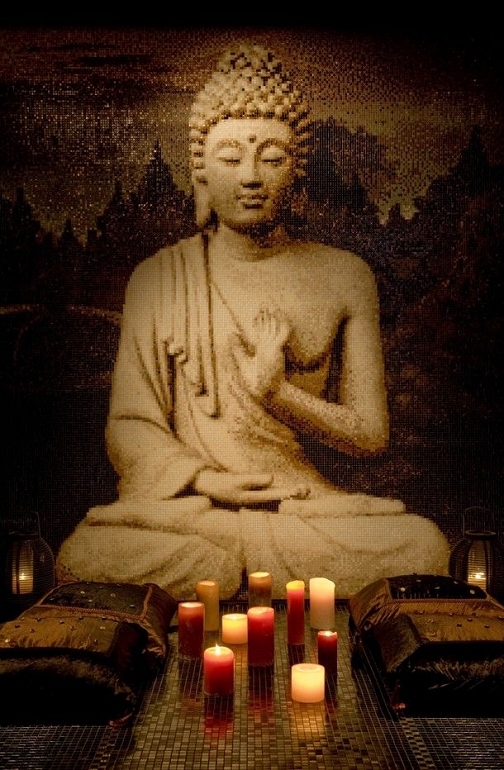 A meditation space serves as a sanctuary, an inspiring reminder that meditation is a part of your daily life, and creating a space that is purposefully peaceful, comforting and relaxing can make your meditative practice even more enjoyable. 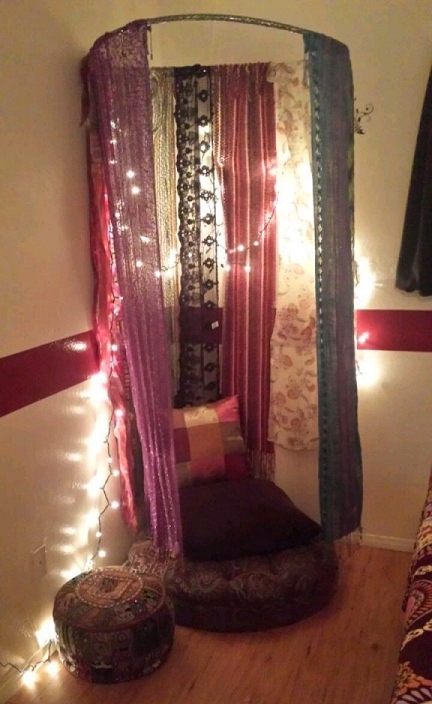 I love the scarves, curtains, and lights. This is a truly personal space! Something from nature; plants, stones, crystals, sand, pinecones, etc. Great reminder, Laura. I have generalized anxiety too...I will say that the hour I spend at Mass every week gives me a meditative release also. It's so comforting! I agree, Laura. 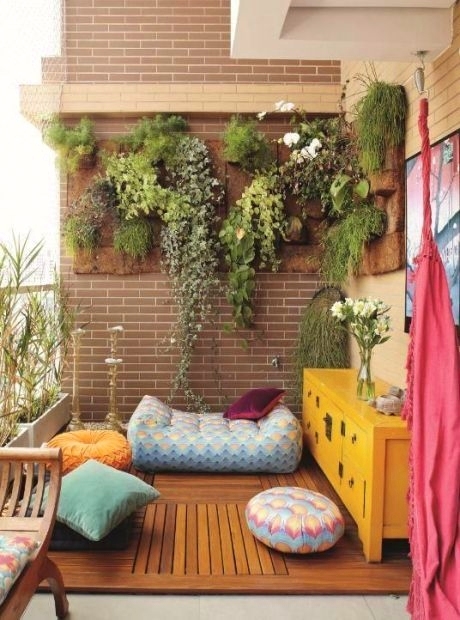 Taking time to slow down and reflect can be kind of rejuvenating :) Some good inspiration for outdoor living spaces, too! That's awesome about your class. Love the outdoors too! I could totally use some meditation! This quote: " If you have time to spend on Facebook or surfing the net, then you have time to spend on yourself. " is so true. Often I find myself mindlessly surfing the net and I suddenly realize it's my pitiful attempt to unwind. This is a great post, and i've always admired your work! Thanks! Yes I think that often we go online to unwind but in actuality it has the opposite effect! 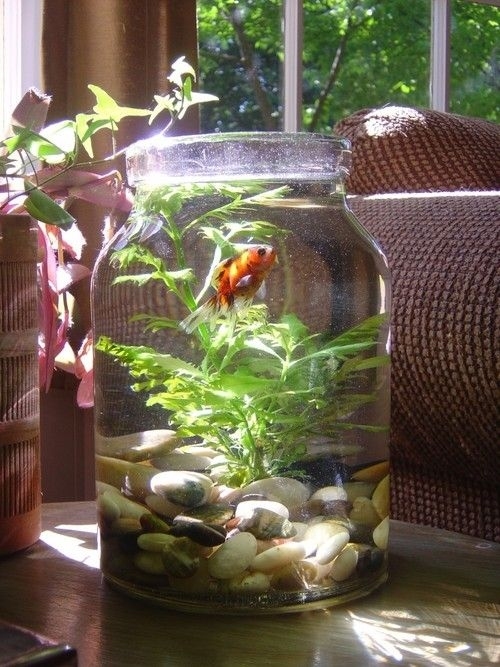 Any clue where we could purchase one of those large glass jugs with the wide mouth to put the koi in? I've searched the internet and eBay. I can't seem to find one quite like it.